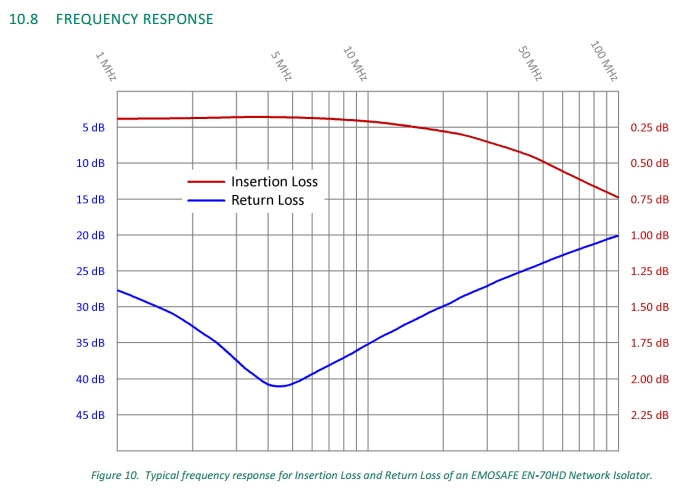 The EMO Systems EN-60KDS, EN-70HD, EN-70e, and EN-100C(PCB level) network isolators are often used in high-end audio applications to reduce the transmission of electrical noise into the most critical audio component that uses an Ethernet connection (e.g. DAC, Computer, Renderer, Music Player). The EMO Systems Network Isolators also provide an extra level of over-voltage protection to help protect your investment in your audio network. We would like to clarify some of the confusion that exists about adding network isolators to audio networks. All Ethernet connections are galvanically isolated with a built-in transformer per the Ethernet specification. Transformers inherently provide a level of protection and common-mode noise rejection. However, non-medical grade transformers are usually wound with enamel-coated wire insulation to reduce production costs. In an overvoltage situation, this type of insulation can suffer from flashover or overheat due to extra current flow, putting all of the devices on your network at risk. Our network isolators are designed with a transformer which meets stringent medical device standards resulting in 4 times the overvoltage protection of a standard Ethernet transformer. Furthermore, our EN-60KDS, EN-70HD and EN-100C products incorporate a transient voltage suppression diode array to clamp down on voltage spikes that may appear on either side of the network isolator. By design, the shield of the Ethernet cable is interrupted as it passes through our products. This prevents noise that may be traveling on the shield from reaching your equipment’s analog circuitry. Reprinted with permission from AudioScienceReview. 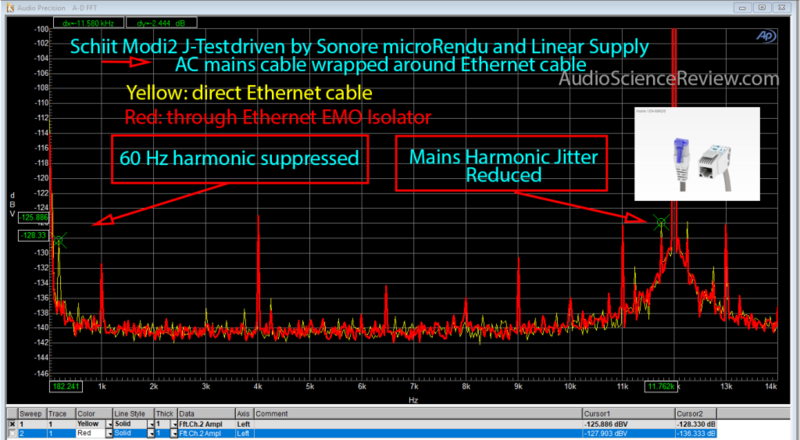 What should you look for when considering a network isolator for your audio network? First of all, look to see if the supplier provides a datasheet. Without specifications, you can’t be assured you are purchasing anything other than a repackaged generic grade transformer. Where should network isolators be placed in an audio network? It depends on if your system actually has a noise issue. In a network without noise problems, placing the network isolator between your modem and your network switch provides protection from over-voltages and noise from the outside world for your entire network. In a system where noise is impacting your music quality, placing the network isolator right before the input to your DAC equipment will provide the best listening experience. The best approach is to experiment and trust your ears. We make the EN-60KDS, EN-70HD, EN-70e, and EN-100C available in our online store to support single quantity purchases from audio enthusiasts. If you have any questions, please ask. We are here to help!